The use of Rodenticides as a control measure on farms has been looked at and it has been identified that the risk to other animals such as Predatory birds and mammals is too high. 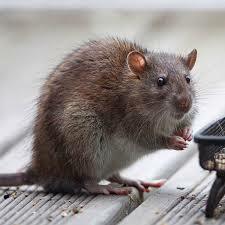 However outdoor use of rodenticides is often necessary as part of a properly managed rodent control strategy. Consequently new “stewardship conditions “will appear on labels of rodenticides, requiring those that purchase and use them have been on an approved Training course. These labels are being introduced from April 2016, and Training will be a requirement for users from June 1st 2016 . BUT, as an interim measure, if you are member of a farm assurance scheme, FAWL, Red Tractor, that membership will permit you to purchase and use these products until the end of December 2017. So Training needs to be undertaken by December 2017 if you wish to use Rodenticides on the Farm. Lantra Awards has a new course that is recognised as an approved Training course by CRRU- Campaign for Responsible Rodenticide Use. Responsible and Effective Control of Commensal Rodents It is a one day course, integrated training and assessment, for which you will receive accredited training and a skills card. Add the course in tab 4 –in the Technical courses folder. Simply The Best will be running these courses in autumn 2016, and early 2017, which will mean you will have funding in place now for the time that suits you best, avoiding lambing, harvest etc.